A few years after that memorable first flight he began taking lessons. “I was learning from a World War I Navy pilot,” he said. “Boy was I impressed-he was a great instructor.” Nelson soloed on his 16th birthday in an E-2 Taylor Cub on a rainy day over a grass strip in Oregon. “I’ll never forget it,” he said. “I got my student pilot’s license even before I got a license to drive a car,” he said. The decades to follow were filled with adventure and accomplishments for Nelson. He would serve our country in countless ways. 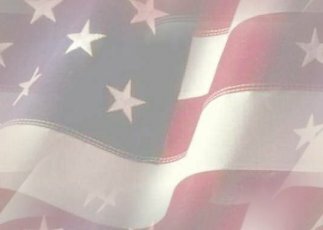 His duty brought him to several parts of the world, including the Middle Eastern desert, Alaska, the China-Burma theater during World War II, the rolling green hills of California and the southwestern deserts. 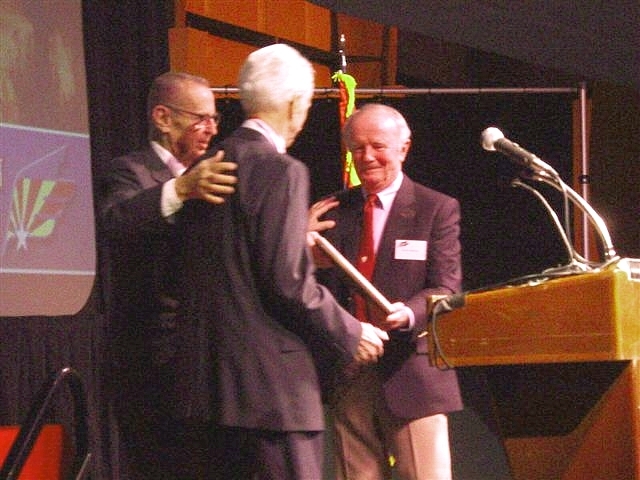 Nelson became a member of the Oregon National Guard and enrolled at Oregon State in 1940 as an aeronautical engineering major. After only a week of school he was called to active duty. “I got my orders and had to go to Fort Lewis, Washington,” he said. As soon as he was old enough he took the two-day written exam that was equivalent to their two-year college entrance requirement and passed his physical. He waited to be called for pilot training. That call came in July 1941. “It was one of the greatest things that could ever happen to a young guy--going to pilot training,” he said. In those days pilot training was not as formal as it is now and Nelson was called to ferry P-39’s to Fairbanks, Alaska. “One day me and another pilot went out to the airplane,” he said. “He told me how to open the canopy and how to start the plane. I sat in it and looked around for about an hour, then the next morning I took off for Alaska.” After his brief tour ferrying the planes Nelson went to the China-Burma-India Theater of Operations where he flew 590 combat hours, primarily in C-46’s before returning to the states in September 1944. In 1946 after a tour of duty as a fighter aircraft instructor pilot, Nelson was separated from the U.S. Army Air Forces. He served as a commercial airline pilot, flying DC-3’s with West Coast Airlines until November 1947 when he received a regular commission and returned to active duty. He was assigned to Strategic Air Command and served with the 33rd Fighter Group and attended Air Tactical School in Florida. From October 1948 to March 1949 Nelson was sent to Palestine as part of the United Nations Truce Force. While there he sometimes relied on camels as his mode of transportation with the Syrian Camel Corps. He then returned to the states and became a B-29 lead crew Aircraft Commander at Walker Air Force Base, New Mexico. Nelson joined the first contingent of SAC Aircraft Commanders to be trained as navigators, bombardiers and radar observers in 1950. After completing this training at Mather Air Force Base, Calif. in 1951 he was assigned to the 306th Bombardment Wing at MacDill Air Force Base, Fla., as an Aircraft Commander in the first B-47 squadron to achieve combat readiness. He served at Strategic Air Command headquarters, Offutt Air Force Base, Neb., from June 1953 to February 1957 where he was assigned to the Tactics Branch and Recon Division, Directorate of Operations. 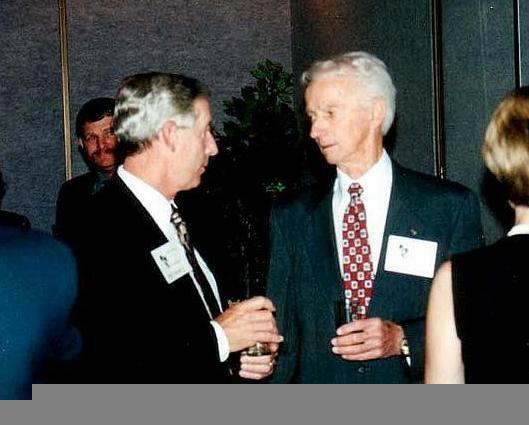 In 1956 he was assigned as SAC Project Officer to provide all needed support to the CIA U-2 Program. During the Cold War the general public was not aware of some of the dangerous missions Nelson and others like him flew, including those in the B-52 Stratofortress. 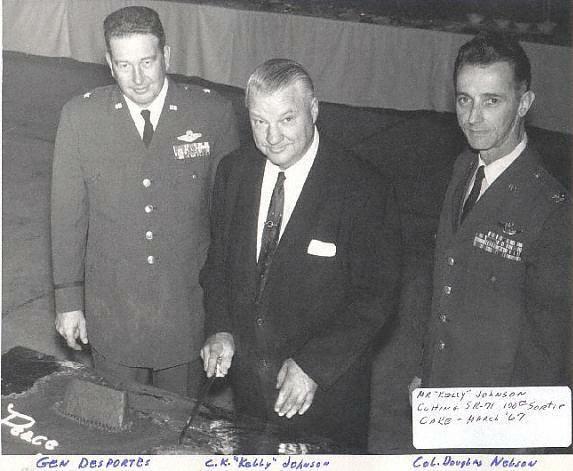 At Ellsworth Air Force Base, S.D., Nelson was Chief of Training of the 28th Bombardment Wing. “At Ellsworth we were being equipped with brand new B-52’s,” he said. “We weren’t combat ready, we were still training crews and suddenly we were put into airborne alert.” Each plane carried four thermonuclear weapons. “We had four targets assigned in Russia,” he said. “I found myself with non-ready crews who had rarely flown together. Here we were at airborne alert flying over the Polar Ice Cap just outside Soviet defenses. This was routine for SAC. In our case we weren’t ready to do that but they said we were going to do it anyway and ‘good luck.’ They said we were going to fly 18-hour missions as often as needed. I remember flying sometimes two or three of those a week. It went on for three months,” he said. “The general public didn’t know that was going on at that time,” he said. In March 1960 he was transferred to Headquarters Fifteenth Air Force, March Air Force Base, Calif., as chief, Operations and Training Division, and in November 1961, was assigned to Headquarters U.S. Air Force with duty station in Las Vegas, Nev. (aka Groom Lake). 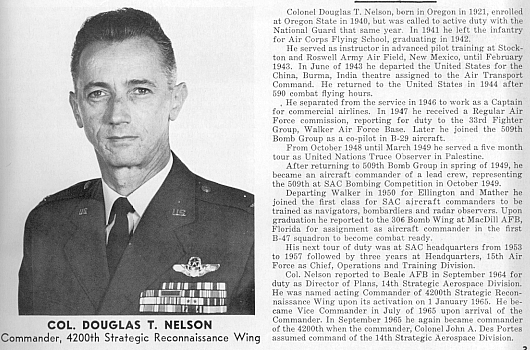 Nelson was Chief of Operations of an Air Force Unit supporting the Oxcart (A-12) program. Groom Lake, north of Las Vegas was already a hub of activity with the U-2 program. Amid the wildlife, tumbleweeds and desert winds a new system was to be tested that could go higher and faster than the U-2. The A-12, a sleek Mach 3, highly swept delta-winged aircraft would set the stage for swift reconnaissance over hot spots around the globe during the Cold War. The world was going through tense times during those years and the most significant was the Cuban Missile Crisis in October 1962. The Soviet Union had attempted to place nuclear missiles in Cuba aimed at the United States. The entire nation was on alert as families prepared themselves by building bomb shelters and doing ‘duck and cover’ drills at schools. In December 1964 the SR-71 a new, modified, heavier system capable of carrying more camera equipment was test flown at Edwards Air Force Base. 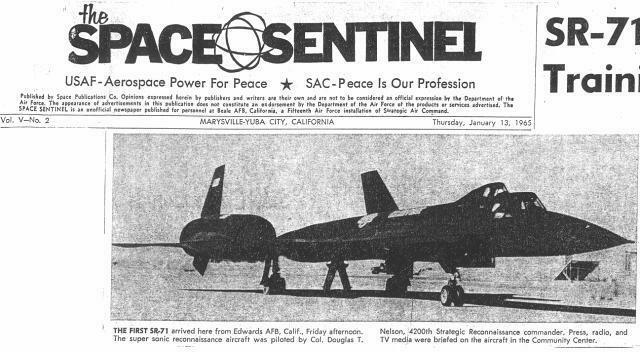 At the beginning of the program Doug Nelson was given the task of finding the men to fly this sleek and mysterious aircraft for the 9th Strategic Reconnaissance Wing at Beale Air Force Base in California. 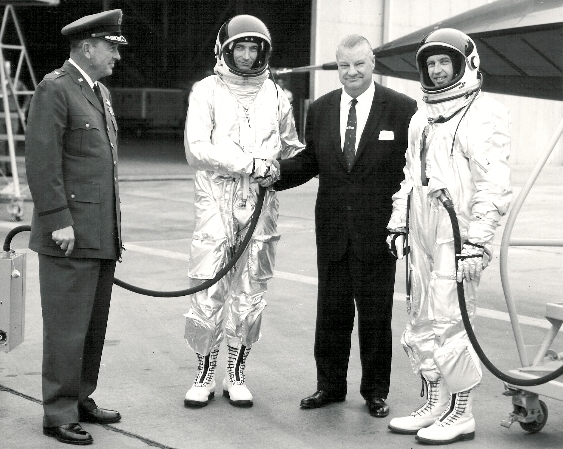 Nelson and Ray Haupt ferried the first SR-71 trainer to Beale in January 1966. “I was the first person on the base for what became the 9th SRW,” he said. 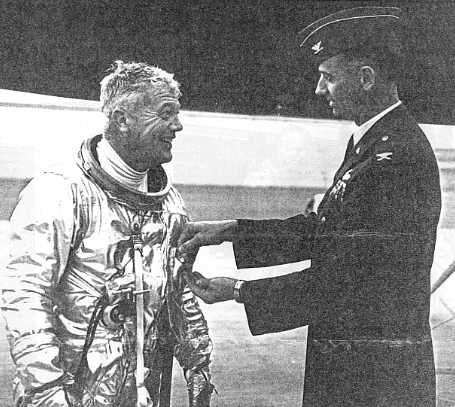 “My job was to activate it and man it.” In December 1966 he assumed command of the 14th Strategic Aerospace Division also at Beale. Nelson said it was an unbelievable time for him. “It was a once in a lifetime experience to be commander and start the program at Beale,” he said. “Word got around very fast that I was looking for people like B-58 pilots, fighter pilots and those with flight test experience. I began to get calls from all over the Air Force,” he said. 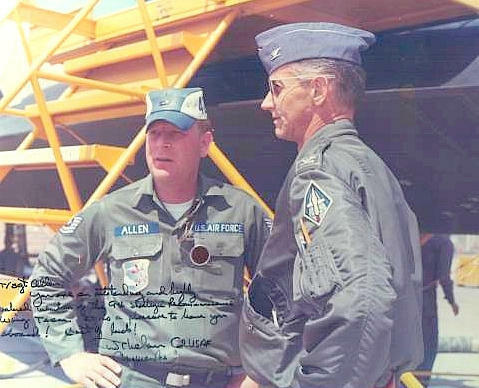 “When I found potential candidates from other bases I would call their Wing Commander and tell him I wanted to come in to interview people for a highly classified program.” It was an intense experience for potential pilots and crewmembers, but those who have served with the program say it was the most important part of their careers. The SR-71 served our country well and had never been shot down by enemy fire. Unfortunately it would be forced into an early retirement in 1990. 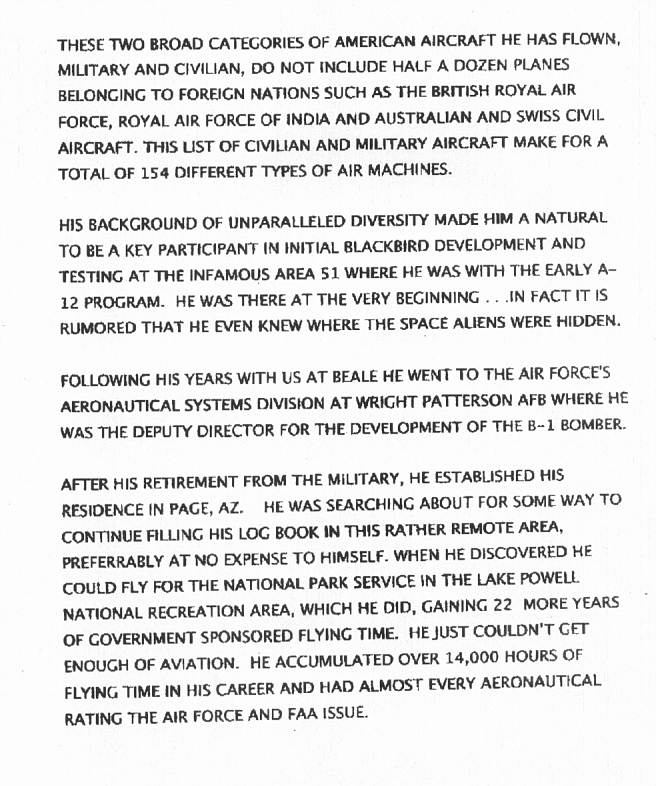 In the meantime Nelson was assigned to Wright Patterson Air Force Base and became Air Force Program Director, B-1 Strategic Bomber until January 1974. He was named Vice-Commander, Aeronautical Systems Division where he remained until his retirement from active duty that same year. 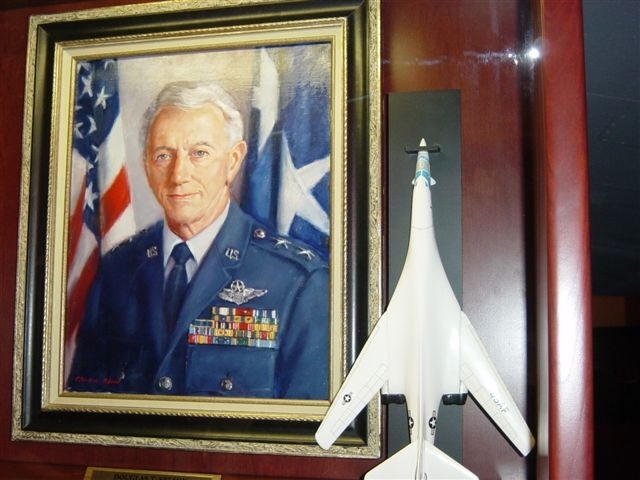 When the SR-71 program was to be terminated, Nelson went to the Pentagon to meet with General Larry Welch, the Air Force Chief of Staff, to see if the program could be saved. 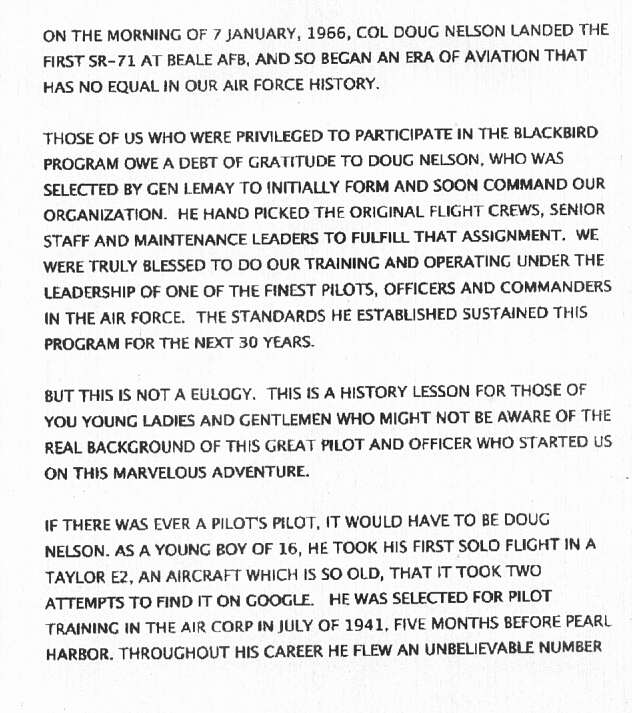 “They were all hooked on overhead space reconnaissance systems,” Nelson said. “In their opinion they didn’t need a manned system other than the U-2.” At the time the Cold War was winding down, but not over yet. Welch told Nelson: “With what I would have to put in my budget every year to support the SR-71 program, I could buy and support a wing of F-16’s.” Welch believed the overhead reconnaissance systems were totally adequate, Nelson added. Nelson always felt the SR-71 was a one of a kind and we won’t see another manned system like it. His life seemed to have come full circle while living in Page, Arizona. He served as a back up pilot for the National Park Service from 1978 to 1999 at Lake Powell. “There are dirt strips and airports all around the lake-there are no roads and the only way to get park employees someplace was by airplane,” he said. Before his death he was in the process of building a full-scale replica from original factory drawings of a 1927 Curtiss Hawk. 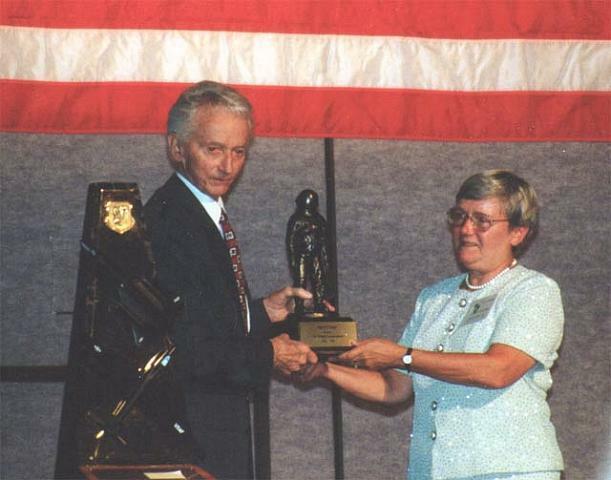 Nelson was inducted into the Arizona Aviation Hall of Fame in April 2004 and the Blackbird Laurels Society in May of the same year. 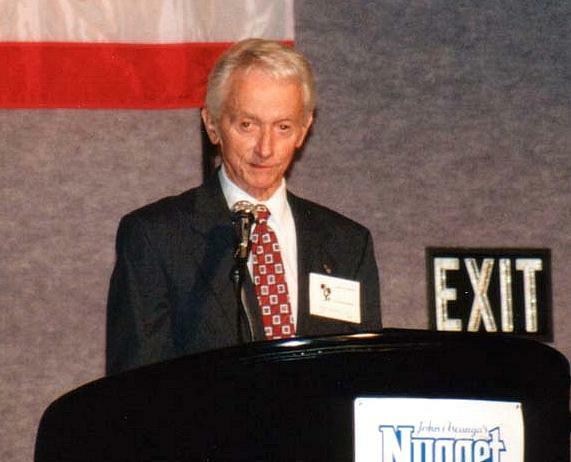 He was a member of the National Aviation Hall of Fame (NAHF) Board of Nominations. Note: he told me in our interview that he nominated Ben Rich for enshrinement. 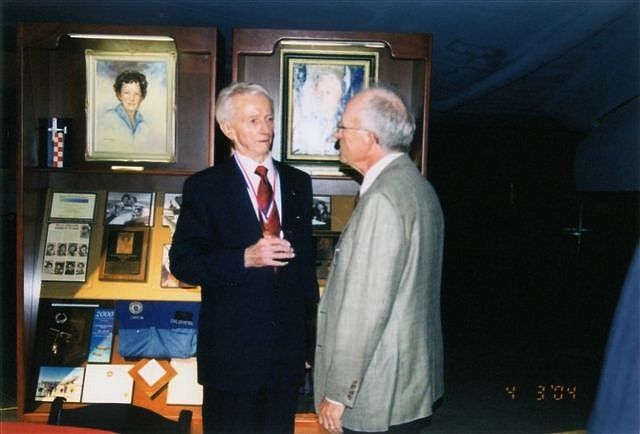 Mr. Rich will be posthumously enshrined at this year’s National Aviation Hall of Fame ceremony in Dayton, Ohio. Author’s note: I wear an SR-71 lapel pin everyday on the job. At least once a day, I come in contact with a person that comments on it. They ask, “Were you in the Air Force? How do you know about that plane?” I tell them I knew some of the people involved in the program. I get so many comments from people saying what a great plane it was and there will never be anything like it. Well, as mighty as the Blackbird family of planes is, nothing compares to the people involved. Most of you who read this were involved with the A-12, U-2 or SR-71 programs. 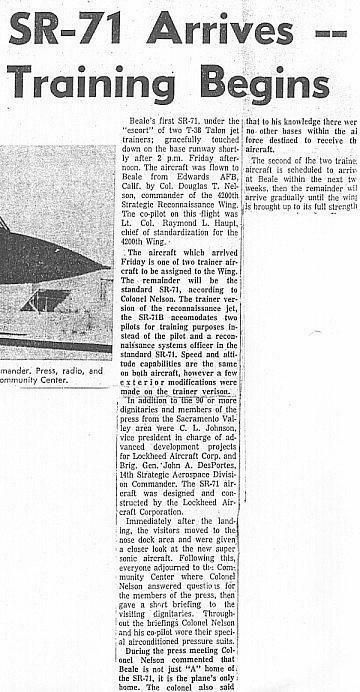 I was just a child when the A-12 first flew in 1962 and wasn’t even born when the first U-2 was flown. Now with my interest in this remarkable program and its people, it still amazes me that these aircraft were flying high above us without our knowledge, protecting us. I am so thankful I had the opportunity to spend an afternoon with Major General Nelson and his lovely wife, Claudine, in Phoenix, Ariz. I will never forget our conversation and will always be grateful to General Nelson and all those who served our country during such a significant part of our history. 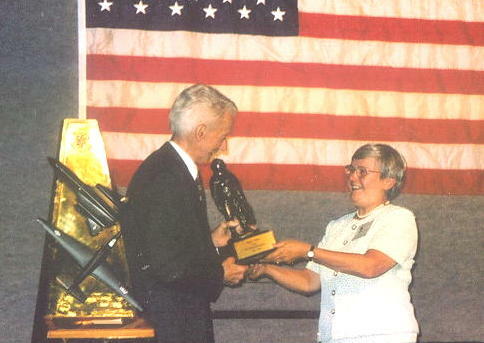 Connie Pardew, Aviation Writer for Aerotech Aviation Magazine interviewed Major General Doug Nelson in 2004. 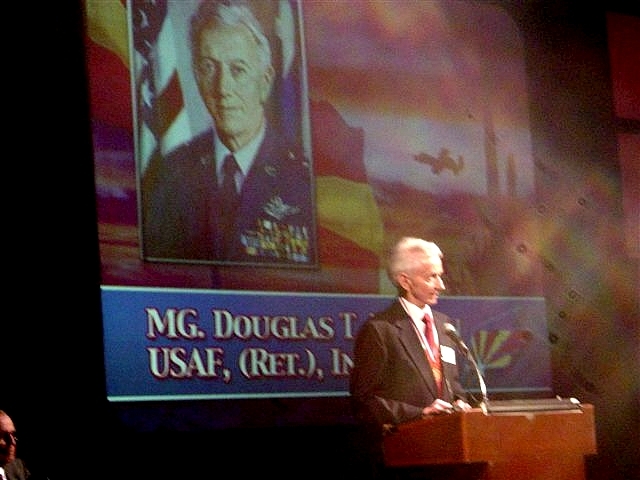 Major General Douglas T. Nelson is vice commander of the Aeronautical Systems Division, Air Force Systems Command, Wright-Patterson Air Force Base, Ohio. The division is responsible for research and development of all Air Force aircraft, engines, and missiles. General Nelson was born in Astoria, Ore., in 1921. He graduated from high school in 1938, enrolled in Oregon State College in 1940, and as a member of the Oregon National Guard was ordered to active duty that same year. In May 1941 he entered Army Air Corps flying school and graduated in March 1942 with a commission as second lieutenant and his pilot wings. 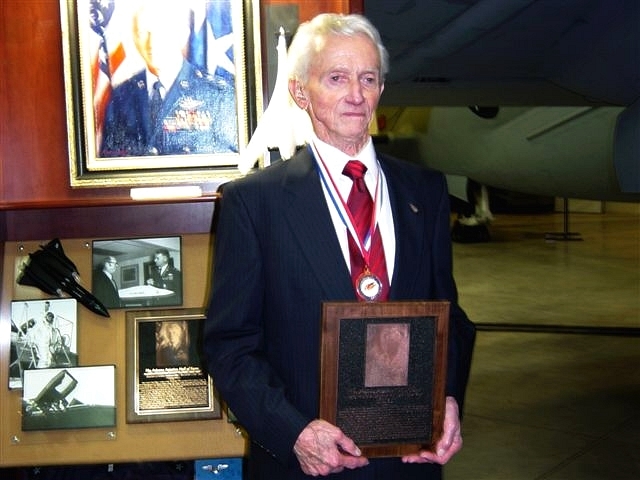 He served an instructor in advanced pilot training at Stockton, Calif., and Roswell, N.M., until February 1943. After a brief tour of duty ferrying aircraft to Alaska, he went to the China-Burma-India Theater of Operations in June 1943 where he flew 590 combat hours. He returned to the United States in September 1944. After a brief tour of duty as air evacuation pilot, General Nelson was separated from the U.S. Army Air Forces in 1946. 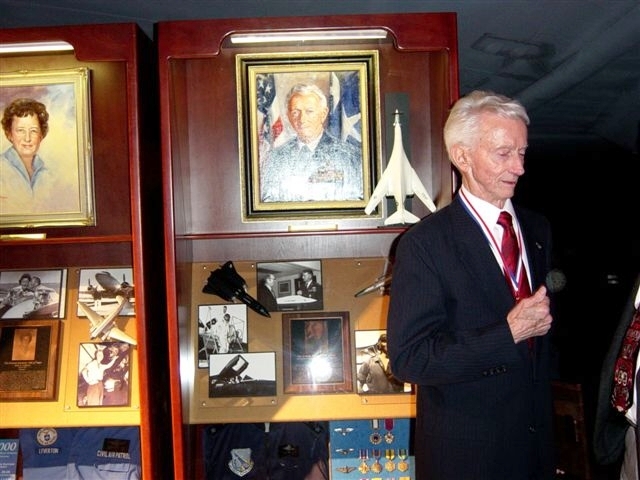 He was employed as a commercial airline pilot until November 1947 when he received a Regular Air Force commission and returned to active duty. He was assigned to the Strategic Air Command and served with the 33d Fighter Group at Walker Air Force Base, N.M., and during 1948 attended the Air Tactical School, Tyndall Air Force Base, Fla. From October 1948 until March 1949, he served as a member of the United Nations Truce Force in Palestine. He then returned to Walker Air Force Base and was assigned to the 509th Bombardment Group where he became a lead crew aircraft commander. 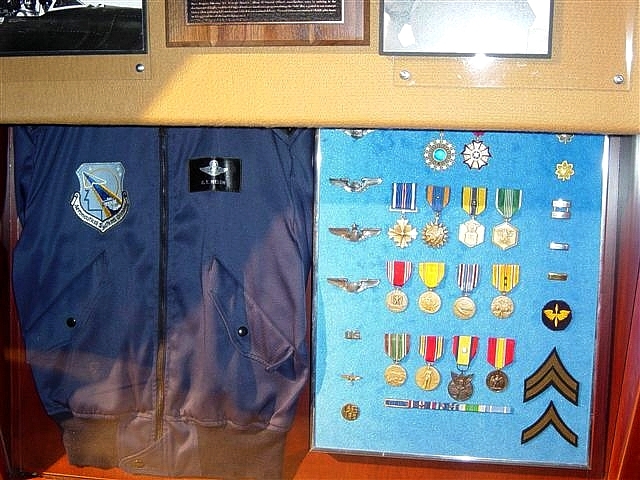 He and his crew represented the 509th Group at the Strategic Air Command bombing competition in 1949. General Nelson joined the first class of SAC aircraft commanders to be trained as navigators, bombardiers and radar observers in 1950. After completing this training at Mather Air Force Base, Calif., in 1951, he was assigned to the 306th Bombardment Wing at MacDill Air Force Base, Fla., as an aircraft commander in the first B-47 squadron to achieve combat readiness. 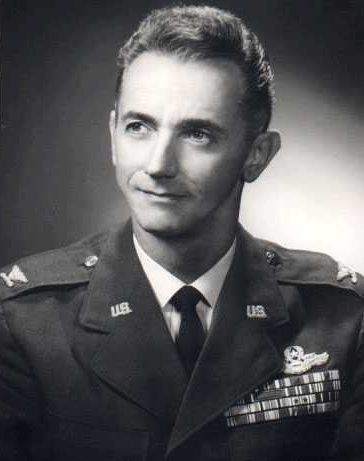 He served at Strategic Air Command headquarters, Offutt Air Force Base, Neb., from June 1953 to February 1957, where he was assigned to the Tactics Branch and Systems Division, Directorate of Operations. He next went to Ellsworth Air Force Base, S.D., and was assigned to the 28th Bombardment Wing, a B-52 unit, and later to the 821st Air Division. In March 1960 he was transferred to Headquarters Fifteenth Air Force, March Air Force Base, Calif., as chief, Operations and Training Division, and in November 1961, was assigned to Headquarters U.S. Air Force with duty station in Las Vegas, Nevada. General Nelson went to Beale Air Force Base, Calif., in September 1964, for duty as director of plans, 14th Strategic Aerospace Division, and was involved in activating, equipping and training the first Air Force organization equipped with SR-71 aircraft, the 9th Strategic Reconnaissance Wing at Beale Air Force Base. He became vice commander, and then commander of the wing. In December 1966 he assumed command of the 14th Strategic Aerospace Division also at Beale Air Force Base. 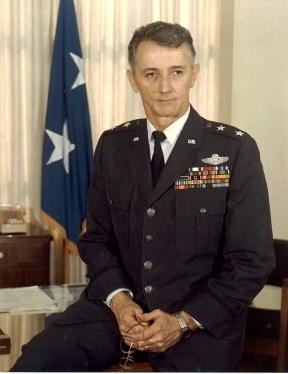 He returned to Headquarters Strategic Air Command as assistant deputy chief of staff for plans in August 1968. General Nelson was assigned to Aeronautical Systems Division, Wright-Patterson Air Force Base, Ohio, in May 1970, as deputy director of the B-1 Program, in September 1970 assumed duties as system program director, deputy for B-1, and in January 1974 became vice commander of ASD. 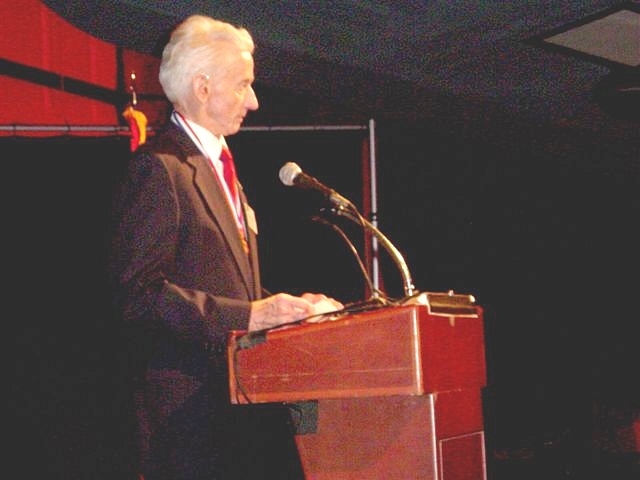 His military decorations and awards include the Distinguished Service Medal, Legion of Merit, Distinguished Flying Cross, Air Medal with oak leaf cluster, Air Force Commendation Medal, Army Commendation Medal, Presidential Unit Citation Emblem, and the Air Force Outstanding Unit Award Ribbon. He has more than 10,000 hours of pilot time and holds a current airline transport pilot rating. He was promoted to the grade of major general effective Feb. 26, 1971, with date of rank June 8, 1968. 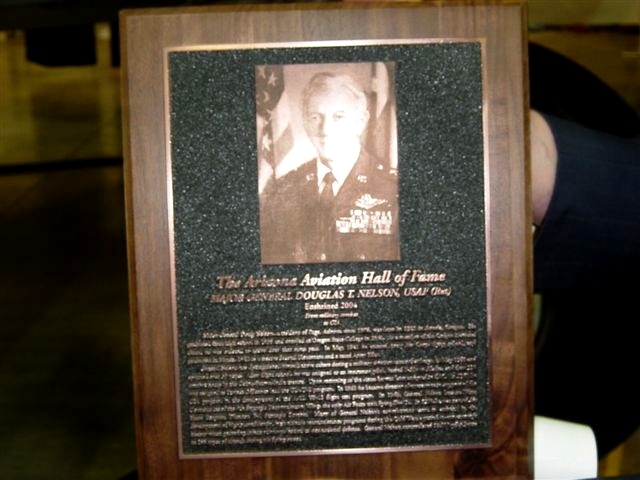 In April 2004, General Douglas Nelson was honored among four notable contributors to Arizona’s aviation heritage and was inducted into the Arizona Aviation Hall of Fame. 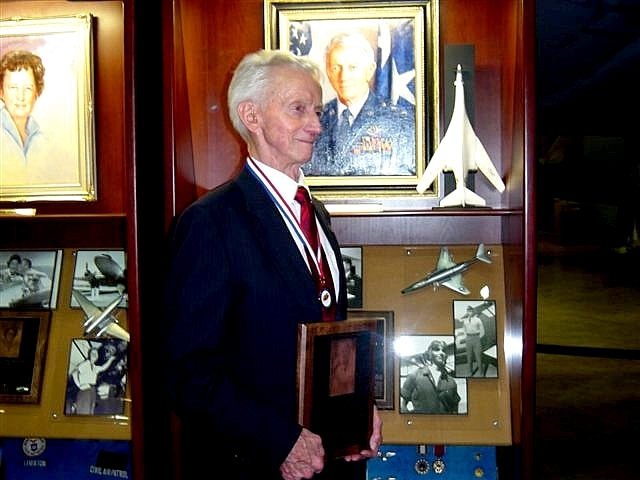 His personal history is enshrined at the Pima Air and Space museum in Tucson, Ariz. Various World War II aircraft served as a backdrop at a gala banquet and induction ceremony, held in one of the hangars at the museum with more than 350 guests in attendance. Throughout the annals of aviation history, there are few men that set the precedence for other aviators to follow. General Douglas T. Nelson was one of those men. His many accomplishments prior to taking the reins of the Blackbird Programs are well documented. What is not noted is his mild but firm manner of leadership. Strapped with the intense responsibility of making the SR-71 a viable reconnaissance system that the Strategic Air Command and the leaders of our country could use on a worldwide basis, was a daunting challenge. 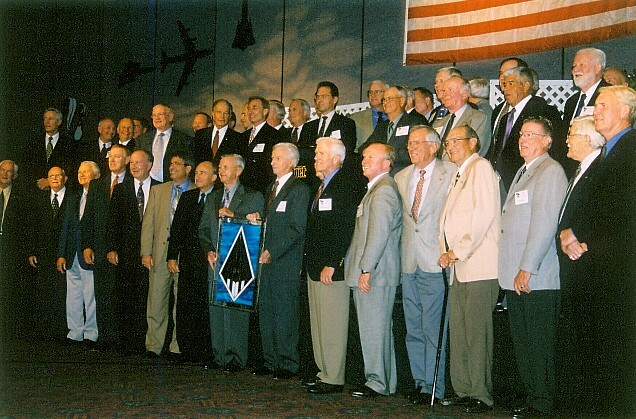 The secrecy surrounding the A12 and the SR-71 during the acceptance phases at Area 51 and Lockheed's Burbank facility demanded the Air Force's finest and most dedicated personnel to be assigned to the Blackbirds. General Nelson hand picked each and every Crewmember that was to fly this top-secret, unarmed, stealth reconnaissance aircraft. The environment in which the SR-71 flew demanded the skills of the best pilots and navigators in the U.S. Air Force and General Nelson got them. Many crewmembers did not even know what they were initially being assigned to fly other than it was a secret aircraft. 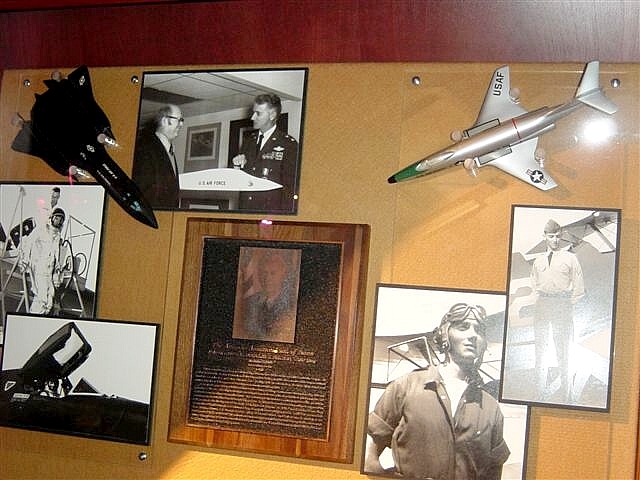 General Nelson's firm leadership was evident with the establishment of all facilities necessary to support the SR-71 at Beale AFB in California. 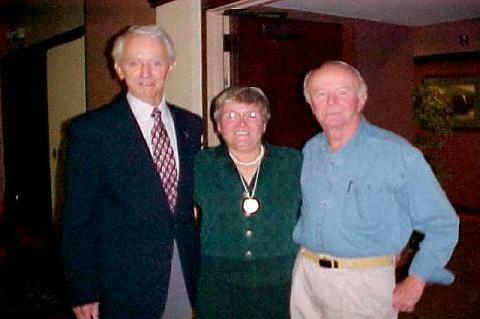 With the Air Force acceptance phase of the SR-71 in progress, Colonel Nelson, Pilot and Lt. 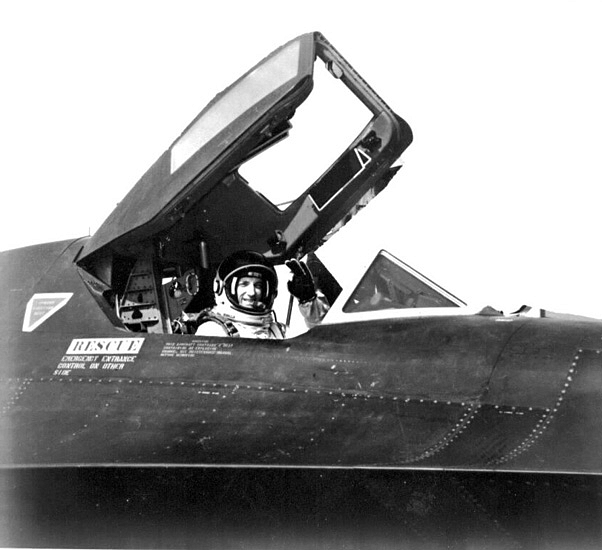 Colonel Ray Haupt, Co-Pilot flew the first SR-71B into Beale AFB on January 07, 1965. With unheard of characteristics for this specialized aircraft, acceptance continued with other SR-71's arriving to form the fleet of 12 assigned to Beale. There was nothing common about the SR-71. It had it's own type of fuel, hydraulic fluid, engine and constant speed drive oils; an ignition system for the engines that burned on contact with oxygen. Everywhere you looked was something that was different from all other aircraft in the U.S. inventory. During the growing pain stage at Beale there were many on-going modifications to the aircraft. 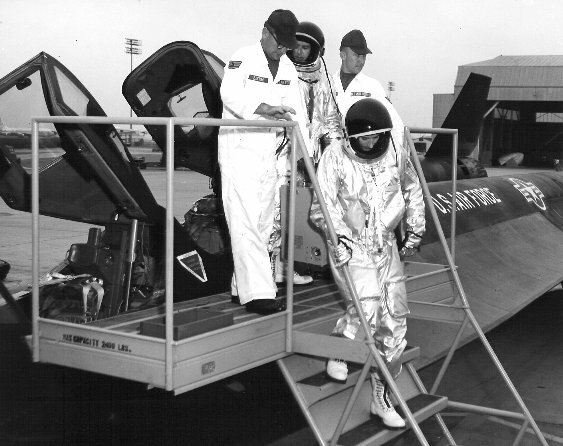 The flight crews were receiving training in the SR-71 simulator; flight and maintenance manuals were being written and re-written as things evolved. 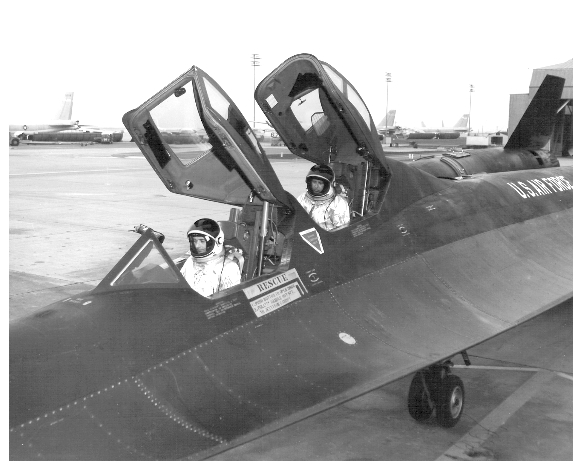 Training missions were flown in the SR-71B to gain crew proficiency and experience. On January 01, 1965 General Nelson commanded the short lived 4200th Strategic Reconnaissance Squadron. Then, the 9th Strategic Reconnaissance Squadron was established and he commanded the Squadron from June to December of 1966 moving on to become Wing Commander at Beale. We all know that respect is an earned attribute. 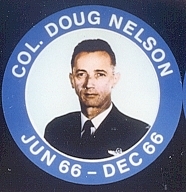 Doug Nelson was highly respected and admired by all the Commanders that followed in his footsteps; by the Crewmembers that flew this unique aircraft and the maintenance people that kept it in the air. His legacy will be forever enshrined in the halls of Blackbird history as a man with foresight; leadership and foremost, an aviator to the very end. 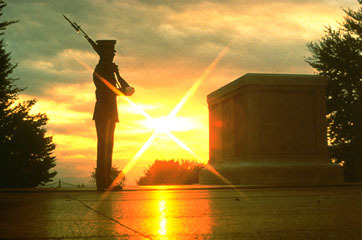 As surely as the United States Army Soldiers from the 3rd Infantry Regiment Guard the Tomb of the Unknowns at Arlington, they also look over General Douglas T. Nelson in his final resting place. All of us in the Blackbird Family wish you Godspeed and farewell Doug; your presence will be sorely missed. 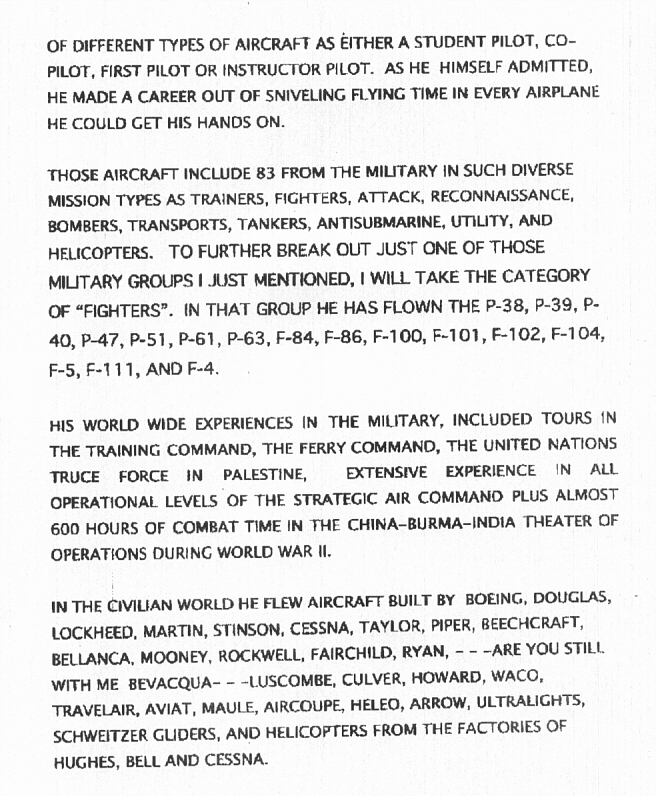 Page #166 of the "SR-71 Blackbirds"